Too often, due to a complex combination of fear, stigma, financial, and family implications, individuals affected by devastating rare genetic conditions like Huntington’s disease have been marginalized and misunderstood. Today, at the Vatican, some very high profile and moving words were spoken to a group of patients living with Huntington’s disease by Pope Francis I. “May none of you ever feel you are alone. May none of you feel you are a burden. May no one feel the need to run away”. “As a global leader, Pope Francis I has the power to elevate the conversation about HD to an international stage with a call for compassion – and action”. Huntington’s disease (HD) is a genetic condition that causes decline or deterioration of brain cells, called neurons, that are located in several areas of the brain including areas that control movement, cognition and behavior. The first symptoms of HD may be personality and behavioral changes, psychiatric problems, cognitive decline (affecting mostly processing, judgment, and logic). This may lead to a long delay in getting diagnosed. HD is also characterized by choreatic movements, which are rapid uncontrolled muscle movements (tics or jerks). These movements can occur all over the body. Although a second FDA approved treatment for the life impacting involuntary movements (chorea) of Huntington’s disease, Austedo (deutetrabenazine), was approved in April of 2017, it does not stop disease progression and there is currently no cure for Huntington’s disease. As changes in United States’ healthcare policy are being developed on pre-existing conditions and coverage of disease focused treatments, increased awareness of genetic diseases is important for the general population and legislators. Healthcare policies have far reaching impact on society when the condition or strong possibility of the condition is diagnosed early in life and when the only treatment that may improve some symptoms of the condition is very expensive. Although pre-existing conditions are usually defined as when health problems start, changes in policies could affect people who are at risk or have a predisposition for a genetic condition. The Pope’s audience today brought increased awareness to this issue in Huntington’s disease and all other genetic conditions. While ThinkGenetic is a secular company, we are still honored to have Pope Francis I and the Catholic Church as allies in our mission to understand, treat, and bring awareness to rare genetic diseases. You can learn more about Huntington’s disease and ThinkGenetic’s role in the rare genetic disease community on our website. To learn more about Huntington’s disease, access amazing educational resources, and learn about current advocacy and awareness campaigns, visit our wonderful advocacy partner, Huntington’s Disease Society of America (HDSA)’s website. 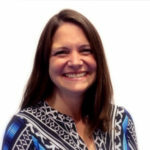 About the Author: As a Co-Founder of ThinkGenetic, Inc., Dawn Laney is responsible for directing the inclusion of genetic disease information and making important connections to those in the genetic field. As a genetic counselor, assistant professor, and program leader at Emory University in the Department of Human Genetics, Laney received her master’s degree in medical genetics from the Sarah Lawrence College in 1999. She received her certification from the American Board of Genetic Counseling in 2002. Since joining the Emory Division of Medical Genetics in 2002, Laney has been involved in follow-up of abnormal metabolic newborn screening for the state of Georgia, development and management of a genetic infusion center, and lysosomal storage disease clinical care and research. She is currently the program leader for the Emory Lysosomal Storage disease center and director of the Emory Genetic Clinicial Trial Center. She serves on the Emory biomedical IRB committee. Laney is the primary instructor/coordinator for the Developmental Biology and Human Malformation course at Emory University. In 2016 she was awarded an NORD Rare Impact Honoree. She has published six books providing genetic condition information to kids and their families. It is great that the Pope is using his platform to support people suffering from devastating conditions. Thank you for bring this article to our notice and also for the wonderful work at ThinkGenetic. Very very impressive indeed. We are so grateful that the spotlight continues to shine on us at ThinkGenetic and it is our passion and goal to provide the needed answers to those many questions that patients, families and caregivers have living with a genetic condition.